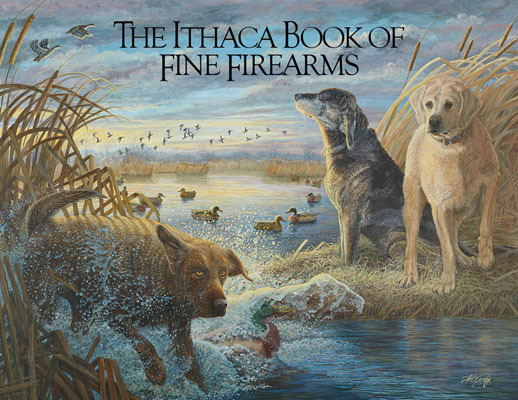 Pat Gamby's painting, entitled "Duck Lords," was commissioned for the cover art of the Ithaca Gun Company's 2015 catalog. The painting details the lively yet noble expressions of three true hunting lords, including Viceroy and Bailey, prized dogs in the Dlubak family. The original egg tempera painting is framed hanging in the Ithaca Gun Company's Conference Room. Limited Edition prints can be purchased at the Ithaca Gun Company. 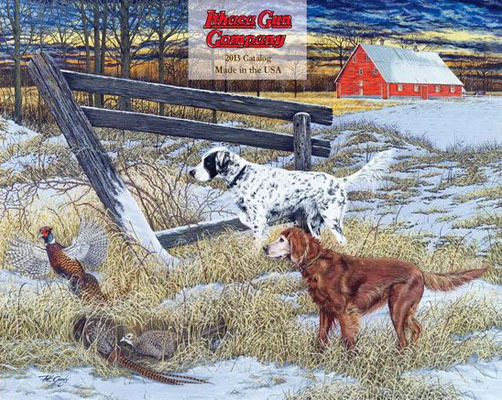 Pat Gamby's painting, entitled "Shotzy and Red,"was commissioned for the cover art of the Ithaca Gun Company 2013 catalog and features a classic pheasant hunt with company owner, Dave Dlubak's, very own hunting dogs. The original egg tempera painting is framed hanging in the Ithaca Gun Company's Conference Room. Limited Edition prints can be purchase at the Ithaca Gun Company.